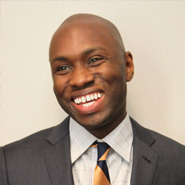 In addition to the blogger profiles, Black Blogger Month will include integrated video interviews with several of the individuals profiled, where they answer key questions about their brands in a pre-launch shoot that took place at Shawn “Jay-Zâ€ Carter‘s newly renovated 40/40 Club New York. (6 W. 25th Street @ Broadway). This will also be the location of a special Tweet Up celebrating our 2012 Black Blogger Month honorees tomorrow tonight, May 1, 2012, from 7-9pm with one-hour open bar courtesy of Ciroc. To mingle with Black Blogger Month’s digital tastemakers and BlackEnterprise.com editors, all you have to do is retweet this post @BlackEnterprise with the #BlackBloggerMonth hashtag and show the tweet at the door. Please note that space is limited so arrive early. Be sure to check out a new digital thought leader as they’re revealed each day starting later today by logging on toÂ BlackEnterprise.com/BlackBloggerMonth. 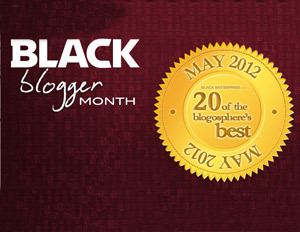 In the meantime, watch below as some of the 2012 Black Blogger Month honorees speak on being part of this year’s package. Video shot and edited byÂ Brain Food Film. Shot on location at the 40/40 Club New York.